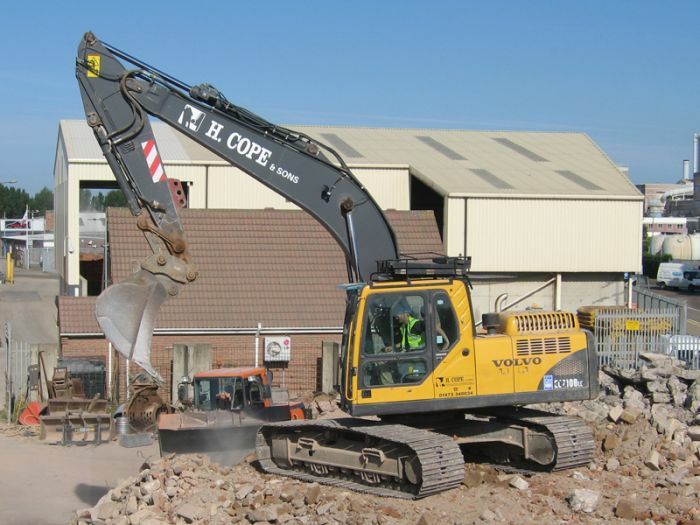 H Cope & Sons plant hire supports our demolition division but we can offer plant hire to our clients. We have a range of excavators, Tippers and Crushers, detailed below, available for hire. Our machines are supplied with a CITB certified drivers so you can be assured of safety on site at all times. H.Cope & Sons Volvo EC360CL crawler excavator is built for high productivity in difficult terrain and tough conditions. Including a reliable Volvo engine, responsive hydraulics and class leading operator comfort, this digger excels in demolition, earth moving, hauler loading, civil engineering and more. 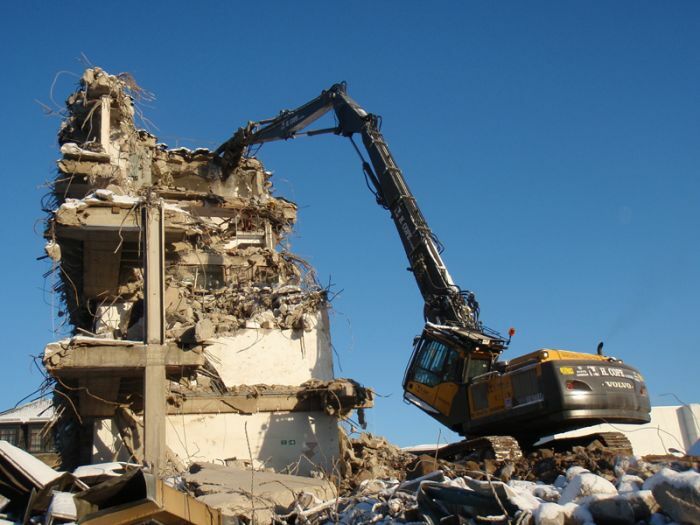 Please see our portfolio which demonstrates the machine with its high reach attachment. This enables us to bring down buildings quickly and in a safe manner.